The Dr. Martin Luther King, Jr. School construction project consisted of the abatement and demolition of the existing school followed by the new construction of a 190,000 SF state-of-the-art public school and community complex using the MGL Chapter 149A Public CM-at-Risk process. The Norton High School project consisted of the comprehensive renovation of the existing 130,000 SF high school and the addition of a new 27,000 SF new cafeteria and science wing addition. The Southeastern Regional Vocational Technical High School (SRVTHS) project consisted of selective demolition of all existing buildings, a brand new gymnasium and locker room addition, and a much-needed facelift to school grounds. About the West Parish School in Gloucester, MA. W.T. Rich Company served as construction manager for the new state-of-the-art, 66,000 square foot school. 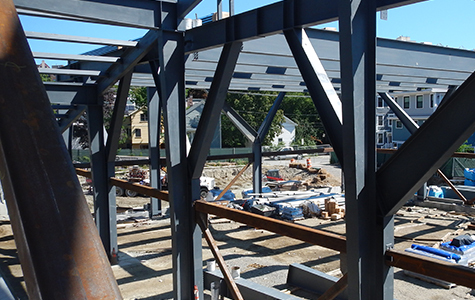 The project included complete demolition of the existing school and construction of the new, three-story metal framed school building and a one-story wing housing the school’s music and art departments, a full gymnasium, and cafeteria. The project received LEED Gold Certification. W.T. Rich, recognizes that in all phases of the construction process, the critical component is people. Our #1 priority before all else, is to ensure a safe and incident-free work environment. Our safety program encompasses not only the construction environment but also visitors, abutters, the occupants and the surrounding community. W.T. 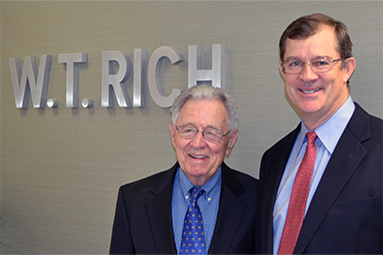 Rich’s unwavering dedication to safety has led to our firm’s outstanding safety record. The primary objective of W.T. Rich’s quality control program is to ensure that all work is performed in compliance with the contract document requirements and with generally accepted construction standards and practices. The completed construction product should be free of defects and deficiencies, perform per the functional specifications, and fulfill the specified performance and operational requirements. At W.T. Rich, we have invested ourselves in creating a cutting-edge quality program that focuses on planning, control and building quality into the construction process, as well as effective inspections, audits and when necessary, management of corrective work. The greatest opportunity to ensure the goals of the project are fulfilled is when the construction manager is involved at the earliest possible stage of the project. Our detailed assessment of existing conditions during the preconstruction phase has proven, in many instances, to not only build upon the integrity of the design but also mitigates many unforeseen challenges to may have occurred during the construction phase. Creating an accurate and realistic schedule is the backbone of a successful project. W.T. 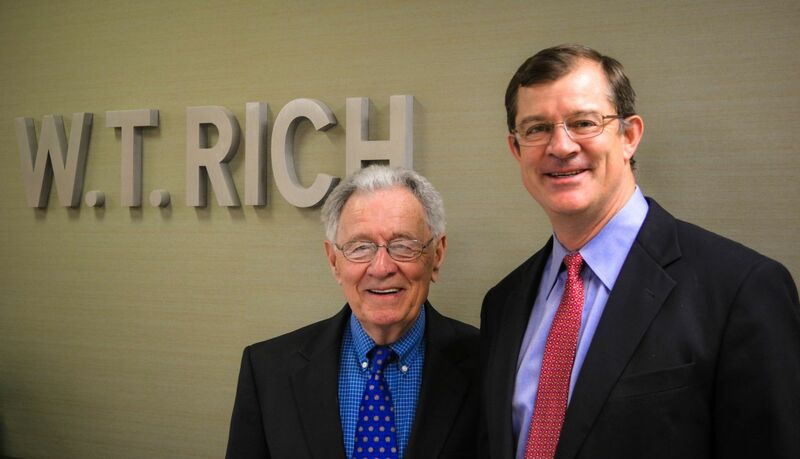 Rich prides itself on making sure we develop schedules that are efficient, streamlined and achievable. Our critical path method schedules serve as an integral part of our construction management, enabling us to manage proactively the short-term and long-term needs of our project. The goal of our cost estimating efforts is not merely to predict the costs of construction as designed, but ultimately to make sure that the project can be built within defined budgetary limits. W.T. Rich assists the owner and the design team in understanding where money is being spent, and where opportunities might exist to lower costs, to achieve the construction budget or enhance the building program while staying on budget. W.T. Rich utilizes 3D modeling on all of our projects. During preconstruction, we develop BIM Implementation Plan defining all goals and uses of BIM for the lifecycle of the project. W.T. Rich uses BIM-based 3D modeling to conduct MEP coordination. With BIM, the entire project team benefits from key project data and contractor input being compiled and shared in a dimensional model. Benefits include more realistic results, less rework through the use of a shared model and improved collaboration, ultimately saving time and money for the project. A large percentage of the projects we undertake occur while a portion of the space is occupied, the build is within an active campus, and/or where adjacent properties are fully operational. This brings about two obvious challenges. Maintaining the safety of these occupants and proactively mitigating construction disruption to these active environments. W.T. Rich Company places safety ahead of all else. Our site-specific safety plans are thoroughly detailed to incorporate the unique site logistics of each project. We also create and maintain a site-specific logistics and mitigation plan focused on eliminating or minimizing all potentially disruptive or intrusive aspects of the construction process. 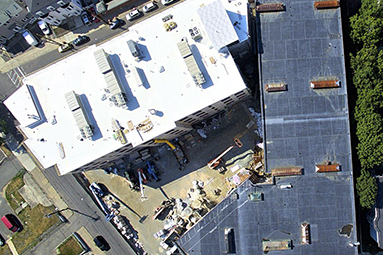 When performing on a jobsite that has a limited amount of space, which is often the case when working in more urban environments or when building out an addition on an existing property, our teams are well-versed at strategically devising a site logistics plan to maximize the use of the restricted space. Our plan of action includes thoughtfully timed materials delivery and storage, clearly marked and safe access to the site, containment of the construction zone, workforce parking and optimal work sequencing. 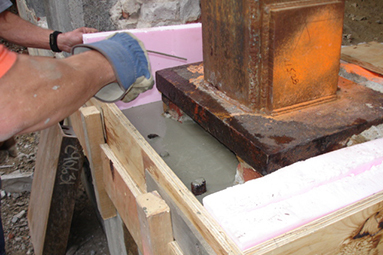 Our team has worked successfully on extremely tight, urban jobsites without incident. W.T. Rich is a leader in sustainable design and certification. We understand green design and construction and can provide valuable sustainable guidance on any project. We have significant experience and expertise working on LEED Certified projects and have completed several projects that have achieved LEED Silver or higher. W.T. Rich understands the LEED framework in detail and currently, 80% of our Project Management Team are certified LEED Accredited Professionals. The story of our company’s success is fundamentally the story of our people. Our firm is made up of outstanding field, management and administrative talent who share our values and passion for the work that we do. We hire and develop the most highly skilled managers, field superintendents, foremen and administrative staff. When we discover this talent, we keep it. Our firm is characterized by people that have worked for us many years running, often until they retire.